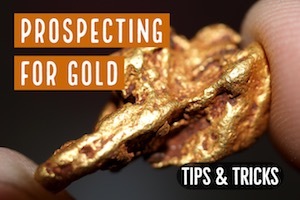 The methods of extracting minerals such as gold have evolved over the years as prospectors adjust their mining methods in order to maximize recovery of the mineral. 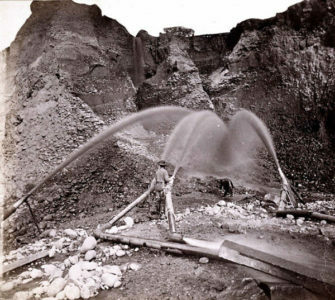 In the past one of the common techniques used to recover gold was ground sluicing. This method was applied in a number of gold mining fields and you can still see the evidence of early ground sluicing operations at old mining sites around the world. 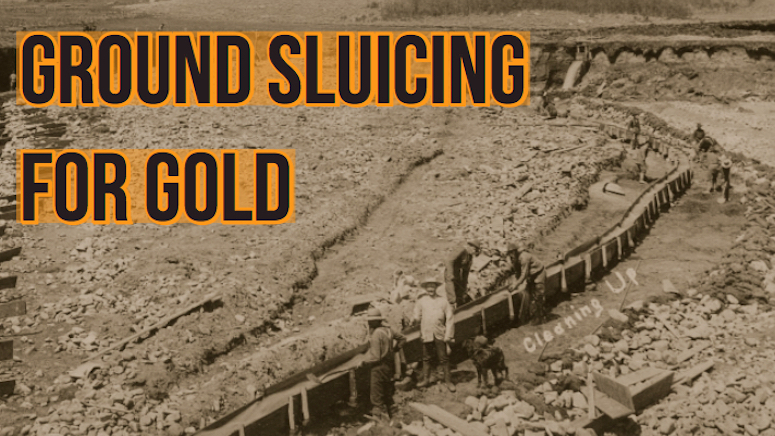 The quick overview of ground sluicing is that miners would cut trenches into bedrock that would act as a natural sluice where gold would be captured. But each location was different, and the ability to capture and retain gold varied from each location. 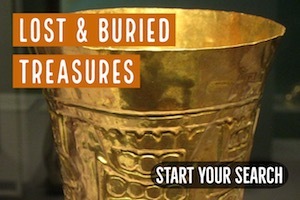 This article will give an overview of ground sluicing and explain how it was used my miners to find and extract gold. To begin with, ground sluicing is one of the special methods employed when extracting the naturally occurring placer deposits, alluvium, as well as deposits released from ancient river gravels. During the process of gold extraction, loose material containing gold gets released from an existing concentration. This miners needed some way to separate out the gold from the tons of worthless rock. Nowadays, prospectors can use simple equipment like sluice boxes to run the concentrates through, but the early miners didn’t have the luxury of using small, highly efficient sluice boxes that we have today. Thus, they would employ ground sluicing. The use of ground sluicing was completely dependent on water. Each site is different. If a miner was fortunate to have a creek on location, then diversion of water was relatively simple. In other cases, water was transported to the mining site through a series of ditches and flumes. 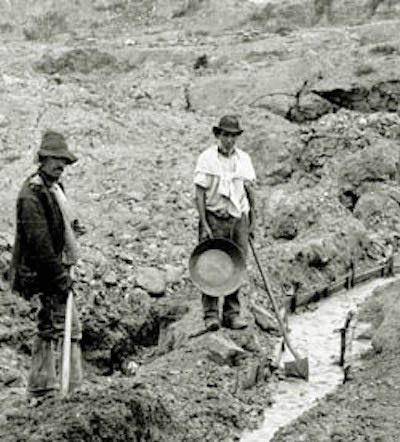 At many locations, miners would construct small reservoirs to capture the limited water that was available. Water would be collected and then used sparingly at select times to maximize its efficiency. Ground sluices were often used at large hydraulic mining operations. Trenches were cut into bedrock and water was routed through these ditches. Obstructions, both natural and man-made, would help to capture gold particles that were released from the gravels. Captured water could be used a few different ways depending on the topography of the mining site. In some cases, water was diverted and released so that it would wash overtop gold bearing gravel, which would erode away the gravel and move it through the ground cuts sluices at the same time. In other situations, the water would be run over a cut bank creating a waterfall. This would create additional erosion and help the process of breaking down the material above bedrock. This process is much like hydraulic mining, but required less infrastructure. There was no need for pipes or monitors to ground sluice, yet the same breakdown of gold-bearing gravels could be achieved. Thus, you will find evidence of ground sluicing in areas where there was hydraulic mining, but you can also find it in some areas where hydraulic mining was not present. What follows next after the disintegration process is the actual ground sluicing process. Remember, the old-timers didn’t have the efficient sluice boxes that we have nowadays, so they needed to make a long trench that often cut directly into the bedrock. Miners would add various obstructions that would aid in the gold recovery process. These were the same as “riffles” on a modern sluice, but they would often use whatever was available to achieve the same result. Rocks, wood, scrap metal, natural crevices in bedrock, and all other sorts of things could be used to capture gold. Water was pushed through the ground sluice, causing gold to be capture and the lighter and unwanted materials along with the the water would get washed through. After a lot of material was run, the sluices needed to be washed further using clear water in order to get rid of all the sand and gravel that might have been left behind after a heavy run. When all the gravel is cleared out, the process of washing the riffles the gold collection process starts. Again, it is important to note that each ground sluicing operation was different. Gold would be trapped in different areas depending on the size and shape of the gold, how much water was being run through the trough, and the types of obstructions that were used. Further gold collection in ground sluicing was achieved by thoroughly cleaning the bedrock and removing any boulders that may have been left behind as the washing process was underway, as it often has a tendency of capturing some gold within the cracks as well as in some surface irregularities. As you might expect, some ground sluicing was rather “sloppy” in operation. Lots of material was usually run through at one time. Gravels were run through without classification. Dirts that were heavy in clay would run through the ground sluices preventing a lot of gold from being captured. 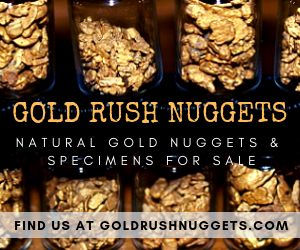 Some estimates conclude that as much as 50% of the gold was lost at these early ground sluicing operations. Of course, they varied widely and it is impossible to ever know exactly, but there is no doubt that a lot of gold was lost even under the best of circumstances. 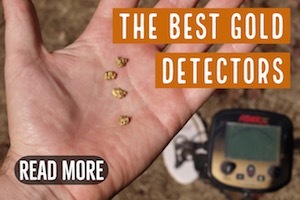 This was bad for the old-timers, but its great for those of us who hunt for gold in these locations today. 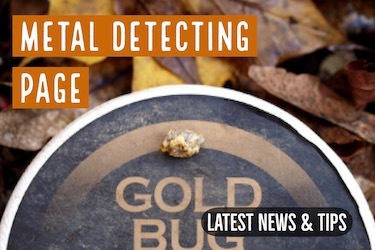 Hunting old ground sluicing operations with a metal detector can be very productive if the area had coarse gold. You can often figure out of there was detectable gold or not by reading old geological reports on the old mines. Sometimes they would make reference to the type of gold that was recovered. Other times, you will just have to detect the area and find out for yourself. You can crevice old sluicing operations too, and sometimes there is a lot of gold to be found using this methods. 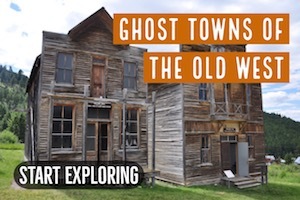 The old-timers were really focused on finding as much gold as they could, and they didn’t always clean out the bedrock as well as they could have. I’ve found a lot of gold by cleaning up the bedrock and panning out the material down in the crevices. Ground sluicing is mostly obsolete today. With the advent of efficient portable sluice boxes and more advanced wash plants, you won’t see miners using ground sluicing much today, although there are certainly mines around the world that don’t have access to modern equipment who are still ground sluicing for gold.